Medical Malpractice Help » Medical Malpractice Causes » Legal Information » If I Can Prove That the Defendant Violated the Standard of Care, Does That Mean I Win My Case? 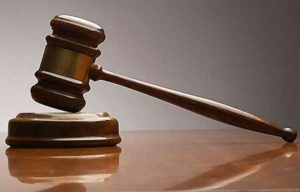 If I Can Prove That the Defendant Violated the Standard of Care, Does That Mean I Win My Case? If you have evidence your doctor or care provider violated the standard of care and you follow certain steps, you may win your medical malpractice case. What Other Conditions Must Be True to Win a Medical Malpractice Lawsuit? How Will a Lawyer Prove Malpractice Occurred? How Can I Talk to a Malpractice Lawyer About My Case? In a medical malpractice lawsuit, the plaintiff alleges that a doctor or health care provider gave substandard or inadequate care, which resulted in physical, emotional, or financial damages to the patient. To win such a lawsuit, you and your attorney must prove that the defendant violated the standard of care. You must also prove several other conditions are true to recover compensation for your losses. 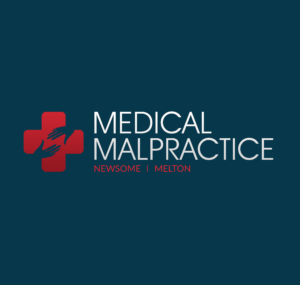 If you feel you were a victim of medical malpractice and you suffered injuries as a result, the attorneys at Newsome Melton can help you with your case. We offer free consultations to discuss the details of your case and answer your questions. To schedule an appointment to talk to an attorney, call 1-855-MED-ASKS. All health care providers have certain standards they must uphold when treating patients. They have a duty to provide quality care and shield patients from risk whenever possible. Because every patient is different, as are the medical conditions they present when they seek care, the specific standard of care that governs a particular situation can vary. For this reason, no uniform standard of care exists. The only way to determine if a doctor breached the standard of care in a given situation is to compare their actions to what another prudent doctor would have done in a similar situation. We can often determine this by interviewing expert witnesses and authorities in the medical field. Once we can make a convincing argument that your doctor violated the standard of care, we can move on to the next steps of proving that malpractice occurred. Your injuries resulted in physical, emotional, or financial damages. In civil lawsuits—including medical malpractice cases—proving these conditions are true means convincing the judge or jury that it is more likely than not to be true. This standard is known as preponderance of the evidence. First, we must prove that the health care provider had a duty of care to you. A medical professional has a duty of care when a doctor-patient relationship exists. As long as we have proof the provider agreed to provide medical services to you, we can show there was a doctor-patient relationship and that a duty of care existed. Proof of this relationship could include anything from a doctor bill to a drug prescription. Next, we have to demonstrate that the provider violated their duty of care to you. We do this by showing that another doctor faced with the same situation could be reasonably expected to provide a higher level of care. Expert witness testimony and established medical guidelines can help us make this case. Once we have established a duty of care existed and the doctor violated it, we must draw a link to your injuries. We use medical evidence, physicians’ statements, expert witness statements, and other proof to build a strong cause-and-effect case. Financial, like hospital bills or lost wages from work. The lawyers at Newsome Melton know how to build a successful medical malpractice case. We focus on this area of law and have a strong track record of winning compensation for our clients. If you need help determining if malpractice occurred or filing your case, contact us today. At Newsome Melton, our attorneys take pride in fighting for the rights of medical malpractice victims across the United States. Let us review your case, provide answers to your questions, and offer our advice on the next steps you should take. To schedule your free consultation, call us at 1-855-MED-ASKS.